This quote comes from Albert Szent-Gyorgyi - born 121 years ago today. Gyorgyi was a Hungarian biochemist and Nobel Laureate who discovered vitamin C and worked out many of the components of what we now call the Krebs cycle. His quote is the best encapsulation I know of the limitations of reductionism, and of the non-reduction of biology to physics in particular. Szent-Gyorgyi zeroes in on the essential problem; as we drill down from unquestionably living cells to molecules to unquestionably non-living individual electrons, life somehow slips away sometime during the transition from between our microscopes, pipettes and petri dishes. At what point it exactly does this and how is a quest that will continue to occupy us for as long as there is a human mind capable of scientific reflection. 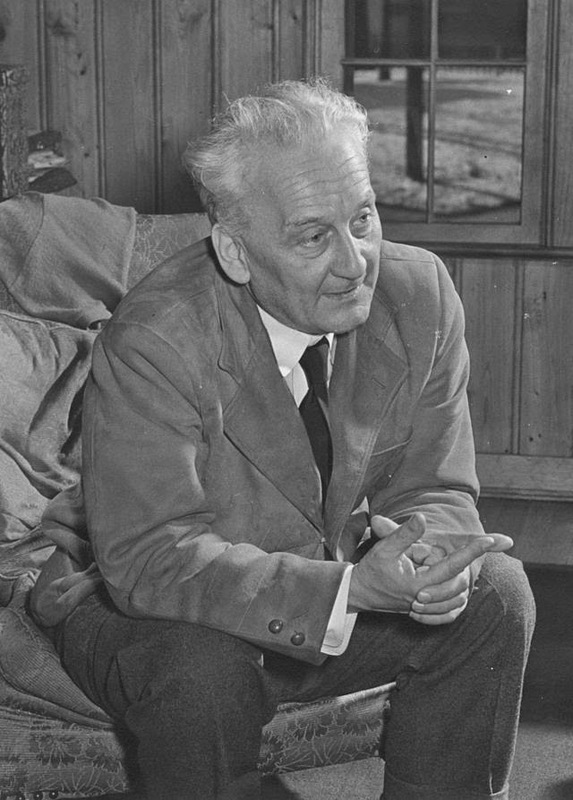 Albert Szent-Gyorgyi, what a fascinating man! The more I learn about him the more fascinated I become. The Nobel Prize citation reads, "for his discoveries in connection with the biological combustion processes, with special reference to vitamin C and the catalysis of fumaric acid." He isolated and identified the ‘antiscorbutic factor’ (vitamin C). That factor when missing from the diet results in scurvy or scorbutus. This discovery ended the hit or miss treatment of scurvy in 1932. The rest of the citation of course refers to cellular respiration, the Krebs cycle. His study of cellular respiration led him to become interested in the chemistry and physics of muscle movement and he began the Institute of Muscle Research at Woods Hole, Massachusetts. A little later he became interested in the causes for cancer. This was the late 1950’s and Albert was interested in the possible connections between quantum mechanics and biochemistry. Albert investigated the possibility that free radicals caused cancer and vitamin C could reduce the damage done to cells by free radicals. And most only associate the great chemist Linus Pauling with vitamin C.
Albert founded the National Foundation for Cancer Research! Albert worked against the pro-Nazi government forces in Hungry during the Second World War. He helped friends who were Jewish flee the country. He became a target of the Gestapo and spent the last year of the war as a fugitive. After the war he became head of the biochemistry department at the University of Budapest and helped to resurrect the Hungarian Academy of Science. He also became a member of the Hungarian Parliament. The communist takeover drove him from Hungary and to the US in 1947. In 1967 he protested the Vietnam War by refusing to pay federal taxes. We wrote several books, some of which are still in print, and I found what appears to be a very interesting biography: “Free Radical: Albert Szent-Gyorgyi and the Battle over Vitamin C” by Ralph W Moss, now on my short list for purchase. Thanks for the post Ash!